Join Our Easter Egg Hunt to Crack Open a Discount! "Wow!!! I had some AWESOME comments about your facility. First, let me tell you how much I appreciate everything you and your staff did for our group. the future. 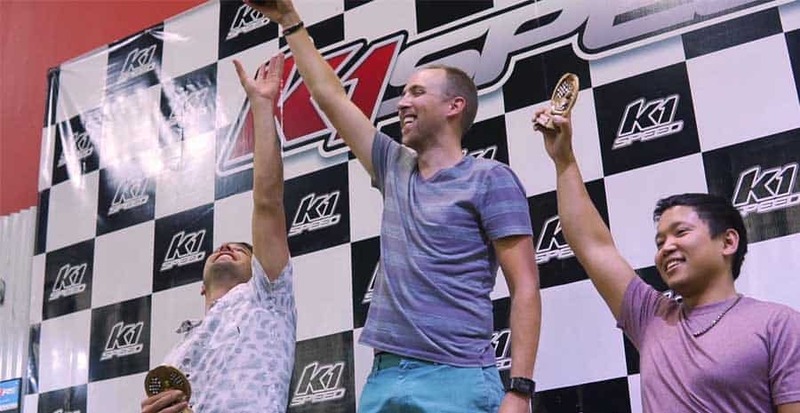 Again, thank you for your professionalism and management of K1 Speed in Sacramento. “best birthday ever”!!! We will definitely be back in the future." and our entire group had a blast! Our staff can’t stop talking about how much fun we had, and they keep asking when we are going to do it again!! to anything else but K1 Speed for our future events. You have set the bar pretty high, and the fun factor is off the charts! !